As Chief Information Officer of State Services Organization, Fabio E. Andrade Jr. is responsible for overseeing all aspects of the Technology Services department, including setting, coordinating and directing all technology initiatives for SSO and its clients. 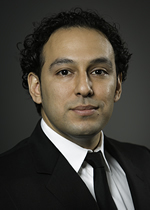 Fabio utilizes his specialization in Computer Security and Information Assurance to lead his department in assisting clients with accessing the internet, while managing their networks and securing their telecommunications capabilities. Prior to joining the SSO staff in 2011, Fabio gained valuable experience as consultant and outsourced CIO at All Covered gave him a strong foundation in the technology services industry. Over the years, he’s developed a unique expertise in bridging the gap between technology and business, which has enabled him to successfully assist clients in creating seamless in-house processes and expedient systems while mitigating loss due to technology-based issues. Fabio recently obtained his Certified Information Systems Security Professional (CISSP). Fabio earned his Bachelors and Masters Degrees in Computer Science, with a specialization in Computer Security and Information Assurance, from The George Washington University (GWU). While at GWU, he was a starter on the Men's Soccer Team and was awarded both academic and athletic scholarships, as well as a professional soccer contract. He spent a year in New York City after being recruited for Citigroup’s Management Training Program, in which he was responsible for coordinating best security practices within the Global Storage Management Group and Data Centers. Originally from the Boston area, Fabio has come to call our nation’s capitol home after living in D.C. for 14 years. When he’s not at the office or on-site with a client, he can be found walking his American Bulldog around the city, playing soccer, or riding his road bike in preparation for his first triathlon.